Love is in the air! Wedding bubbles are a must to celebrate at a wedding. We can guarantee your wedding will become a little bit more magical with wedding bubbles! Our wedding bubbles are always great fun for family and friends of all ages. Everyone loves to blow kisses to show how thrilled they are for the happy couple. Making clouds of bubbles are a great alternative to throwing rice after the wedding ceremony to send off the wedding couple. 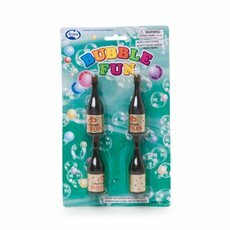 You can also use our celebration bubbles at other celebrations all year around, including birthday parties, summer tea parties and many other events. Buy your celebration and wedding bubbles from Koch & Co today!